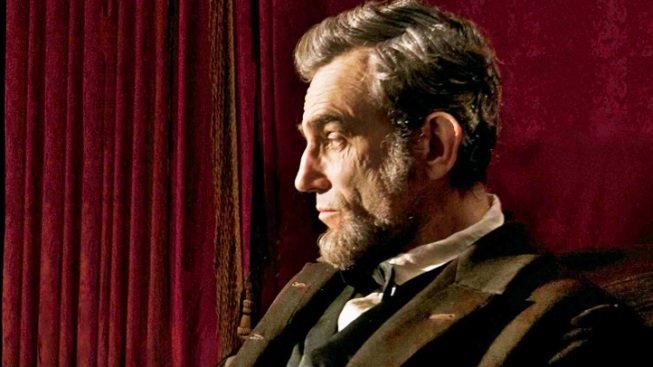 Steven Spielberg's Civil War epic "Lincoln" led the Golden Globes on Thursday with seven nominations, among them best drama, best director for Spielberg and acting honors for Daniel Day-Lewis, Sally Field and Tommy Lee Jones. Tied for second-place with five nominations each, including best drama are Ben Affleck's Iran hostage-crisis thriller "Argo" and Quentin Tarantino's slave-turned-bounty-hunter tale "Django Unchained." 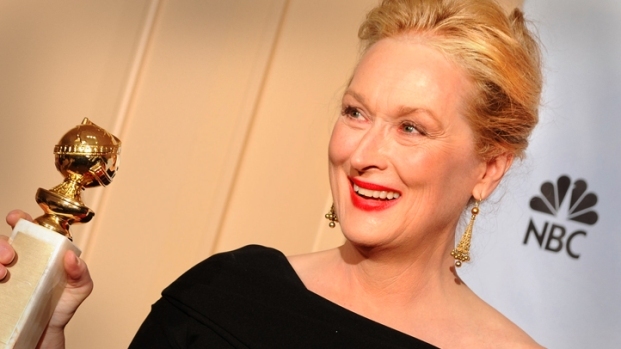 Read the full list of the 2013 Golden Globes nominees. Other best-drama nominees are Ang Lee's shipwreck story "Life of Pi" and Kathryn Bigelow's Osama bin Laden manhunt thriller "Zero Dark Thirty." Actors Ed Helms, Megan Fox and Jessica Alba joined the Hollywood Foreign Press Association Thursday morning in Los Angeles to unveil the list. Nominated for best musical or comedy were: the British retiree adventure "The Best Exotic Marigold Hotel"; the Victor Hugo musical "Les Miserables"; the first-love tale "Moonrise Kingdom"; the fishing romance "Salmon Fishing in the Yemen"; and the lost-soul romance "Silver Linings Playbook. The directing lineup came entirely from dramatic films, with Affleck, Bigelow, Lee, Spielberg and Tarantino all in the running. Filmmakers behind best musical or comedy nominees were shut out for director, including Tom Hooper for "Les Miserables" and David O. Russell for "Silver Linings Playbook." Along with Day-Lewis as Abraham Lincoln in Spielberg's epic, best dramatic actor contenders are Richard Gere as a deceitful Wall Streeter in "Arbitrage"; John Hawkes as a polio victim trying to lose his virginity in "The Sessions"; Joaquin Phoenix as a Navy veteran under the sway of a cult leader in "The Master"; and Denzel Washington as a boozy airline pilot in "Flight." 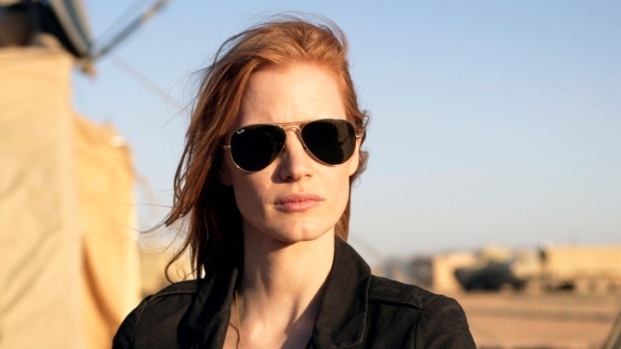 Dramatic-actress nominees are Jessica Chastain as a CIA analyst hunting Osama bin Laden in "Zero Dark Thirty"; Marion Cotillard as a whale biologist beset by tragedy in "Rust and Bone"; Helen Mirren as Alfred Hitchcock's strong-minded wife in "Hitchcock"; Naomi Watts as a woman caught up in a devastating tsunami in "The Impossible"; and Rachel Weisz as a woman ruined by an affair in "The Deep Blue Sea." For musical or comedy actress, the lineup is Emily Blunt as a consultant for a Mideast sheik in "Salmon Fishing in the Yemen"; Judi Dench as a widow who retires overseas in "The Best Exotic Marigold Hotel"; Jennifer Lawrence as young widow in a new romance in "Silver Linings Playbook"; Maggie Smith as an aging singer in a retirement home in "Quartet"; and Meryl Streep as a wife trying to save her marriage in "Hope Springs." Nominees for musical or comedy actor are Jack Black as a solicitous mortician in "Bernie"; Bradley Cooper as a troubled man fresh out of a mental hospital in "Silver Linings Playbook"; Hugh Jackman as Hugo's long-suffering hero Jean Valjean in "Les Miserables"; Ewan McGregor as a British fisheries expert in "Salmon Fishing in the Yemen"; and Bill Murray as Franklin Roosevelt in "Hyde Park on Hudson." Competing for supporting actor are Alan Arkin as a Hollywood producer helping a CIA operation in "Argo"; Leonardo DiCaprio as a cruel slave owner in "Django Unchained"; Philip Seymour Hoffman as a mesmerizing cult leader in "The Master"; Tommy Lee Jones as firebrand abolitionist Thaddeus Stevens in "Lincoln"; and Christoph Waltz as a genteel bounty hunter in "Django Unchained." The supporting-actress picks are Amy Adams as a cult leader's devoted wife in "The Master"; Sally Field as Mary Todd Lincoln in "Lincoln"; Anne Hathaway as a mother fallen into prostitution in "Les Miserables"; Helen Hunt as a sexual surrogate in "The Sessions"; and Nicole Kidman as a trashy mistress of a Death Row inmate in "The Paperboy." Globe acting winners often go on to receive the same prizes at the Oscars. All four Oscar winners last season — lead performers Meryl Streep of "The Iron Lady" and Jean Dujardin of "The Artist" and supporting players Octavia Spencer of "The Help" and Christopher Plummer of "Beginners" — won Globes first. The Globes feature two best-film categories, one for drama and one for musical or comedy. Last year's Oscar best-picture winner, "The Artist," preceded that honor with a Globe win for best musical or comedy. But in the seven years before that, only one winner in the Globe best-picture categories — 2008's "Slumdog Millionaire" — followed up with an Oscar best-picture win. Jodie Foster, a two-time Oscar and Globe winner for "The Accused" and "The Silence of the Lambs," will receive the group's Cecil B. DeMille Award for lifetime achievement at the Jan. 13 ceremony. There will be some friendly rivalry among the hosts at the Globe ceremony, Tina Fey and Amy Poehler. Both were nominated for best actress in a TV comedy, Fey for "30 Rock" and Poehler for "Parks and Recreation." With stars sharing drinks and dinner, the Globes have a reputation as one of Hollywood's loose and unpredictable awards gatherings. Winners occasionally have been off in the restroom when their names were announced, and there have been moments of onstage spontaneity such as Jack Nicholson mooning the crowd or Ving Rhames handing over his trophy to fellow nominee Jack Lemmon. The nominees for best television drama series are: "Boardwalk Empire," ''Breaking Bad," ''Downton Abbey," ''Homeland" and "The Newsroom." And the nods for best TV comedy series are: "The Big Bang Theory," ''Episodes," ''Girls," ''Modern Family" and "Smash."